We are delighted to be hosting our first event in Denver on Thursday, May 30th, at the JW Marriott Denver Cherry Creek. This will be a great opportunity for us to introduce guests to Stay-Focused and make new friends. Ideally, this will become an annual event as we are keen to invite teens with disabilities from Colorado to join us in Cayman to learn to dive. 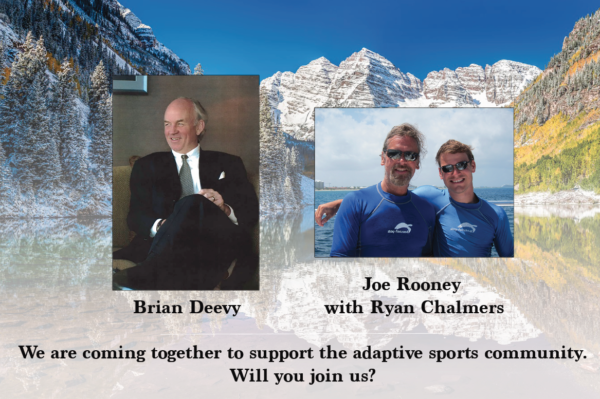 Colorado-based friends of Stay-Focused, Brian Deevy (Director, Liberty Media Corporation), and Joe Rooney (Adaptive Spirit Board Member and former Cox Communications CMO), will join me in welcoming you, along with Stay-Focused Director Ryan Chalmers. While enjoying a drink and hors d’oeuvres, we’ll highlight the success of our programs over the past 15 years, show a short video, and answer your questions. CLICK HERE to RSVP to our terrific event! 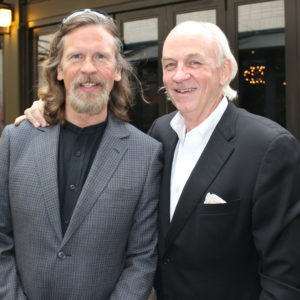 Joe Rooney (L) and Brian Deevy following a planning meeting for our upcoming event on Thursday, May 30th.